The ANA’s 2012 “Trends in Agency Compensation” survey found that forty-nine percent of the advertiser’s surveyed utilized “performance based compensation” as part of their agency remuneration programs. 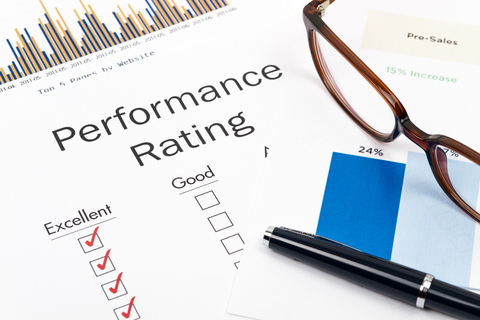 Further, of those advertisers using performance incentives, two-thirds noticed an improvement in agency performance. However, like most issues, incenting extraordinary agency performance isn’t as simple as throwing more money at it. A study by the 4A’s found that performance incentives accounted for approximately three percent of agency holding company revenues. So it is highly unlikely that the implementation of a performance incentive program, in and of itself, will achieve the desired results when it comes to elevating agency performance. Based upon our experience, driving agency performance is a process which requires teamwork within the client organization and between client and agency. Further, the process is one that relies heavily on non-monetary incentives to balance the relationship. Non-monetary incentives include intangible relationship attributes such as; stability, communication, access and respect. Why are these attributes important to an agency? For an agency to deliver extraordinary performance, it requires an investment of both strategic and executional resources and a commitment to assembling and retaining the best and brightest account team available within the agency to assist the client in achieving superior results. An agency is much more willing to make that commitment if it is confident that it can realize a return on their investment. If agency management senses that their insights and recommendations are desired and valued by the client, that they have access to and the respect of senior client management and that the agency is viewed as a valued partner rather than a vendor this leads to a stable relationship which has the ability to withstand the test of time. These tools are beneficial to both the client and agency teams in establishing expectations and creating a transparent environment which encourages both parties to discuss progress and address concerns immediately, rather than letting issues fester and become a detriment to the relationship. Change in an advertiser’s marketing services network is expensive and can create risks. Considering the relatively short tenure of a CMO, 23 months according to Spencer Stuart and the decline in the length of client-agency relationships (estimated to be less than 3 years, down from 7+ years in 1984) action must be taken by the client organization to mitigate those risks. It would certainly appear as though the reduction in CMO tenure is contributory to shorter client-agency relationships. Too often when we learn about a “changing of the guard” in the marketing C-suite this is followed by the announcement of an agency review. In order to break this cycle change for change sake, client organizations should view their marketing services agency networks as a “corporate asset.” This perspective can positively shape the client’s agency stewardship approach, involving a multi-functional team comprised of representatives from across the organization. The shared corporate responsibility for nurturing the growth and contribution of the marketing services agencies can elevate the asset value of the network while directly supporting the CMO’s demand generation and brand building efforts. If you’re interested in learning more about how your organization can incent extraordinary agency performance, contact Cliff Campeau, Principal at AARM at ccampeau@aarmusa.com for a complimentary consultation. ← The Future of Marketing is Now. How Will You Optimize ROMI?